There has often been the debate about whether black tea is healthy or not. At times we’ve all tried to reduce caffeine for one reason or another, but here’s the question? Is black tea better than coffee? Answer: Experts say it’s hard to compare apples to apples, as both tea and coffee have health benefits. Since I’m a tea lover, I’m going to dig into the health benefits of tea, of which there are many! Coffee lovers, check out the health benefits of coffee here. High in Anti-oxidants. Black tea contains polyphenols. These are antioxidants that help block DNA damage associated with tobacco or other toxic chemicals, which are different from those obtained from fruits and vegetables. Relieves Stress: We know that having a cup of tea can be extremely relaxing, but it actually helps bring our stress hormones back to a normal level, BBC News. Healthy Heart: “Tea is a good source of compounds known as catechins and epicatechins, which are thought to be responsible for tea’s beneficial health effects,” says Dr. Howard Sesso, noted in Health.Harvard.Edu. These compounds belong to a group of plant chemicals called flavonoids. Research suggests that flavonoids help lower inflammation and may reduce plaque buildup inside the arteries. Benefits Digestive System: Black tea reduces inflammation in the digestive system too and combats bad bacteria in the gut. Regulates blood sugar levels: Black tea actually contains a substance that mimics type 2 diabetes medications, Precose and Glyset, WebMD. 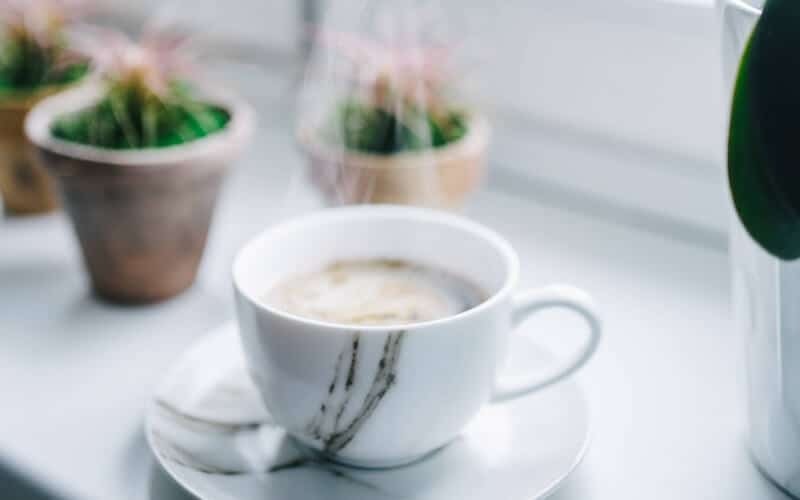 Reduces Headaches: According to The Daily Mail, caffeine found in tea and coffee can be as effective as a pain reliever, especially in tension headaches. Now that we know black tea is not only tasty but good for us too, let’s talk about how to make the perfect cuppa. 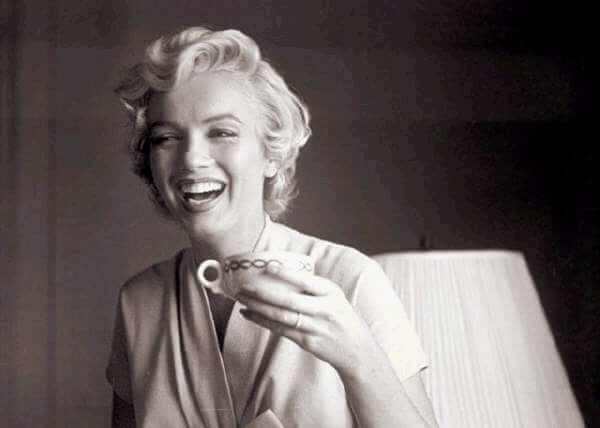 Also, Marilyn was a tea drinker so you know it makes you look sophisticated too! This is a must. Please do not put water in the microwave! Also, a ‘boiling water’ dispenser actually doesn’t work either. It doesn’t get to boiling point, which you need to bring out the full flavours of black tea. You could have the highest quality tea and if your water is not boiling your tea will taste awful. Trust me, I’ve tried! 2. Good Quality Black Tea. My preference is English Breakfast. You can go with tea bags or loose leaf tea. English Breakfast: A Full bodied tea blend, robust and rich in taste. Pairs well with milk and sugar (if you like things sweet). The tea blend may consist of Assam, Ceylon and Kenyan teas predominating, and Keemun sometimes included in more expensive blends. A good Orange Pekoe is also a great choice. It might be just me, but drinking quality tea out of a china cup tastes better than a thick mug. It’s no different than drinking wine out of a nice wine glass. It definitely impacts the overall flavour and experience. I was gifted this beautiful teacup and teapot (below) from Amara. It’s made by Pip Studio who are known for their vintage inspired design and quirky, cheerful patterns. Having a good loose leaf tea strainer is imperative to get the best flavour from your tea. Make sure the tea is not only steeping, but also is able to move around in the strainer as this releases the most flavour. These are the tea strainers I recommend (sorry ball strainers)! A must if you’re having company, or if you simply just want to treat yourself. I’ve been enjoying my fancy new Pip Studio teapot on many mornings when I’m working from my home office. Why not! Place 1 tea bag in a cup or 1 tsp of loose leaf in a tea strainer. Tip: If using a china cup, make sure to put warm water in to warm the cup and then discard. This will ensure the cup doesn’t crack. Boil water. Ensure it’s fully boiled. Pour into cup or strainer and steep for 3-4 minutes depending on how strong you like it. Remove tea bag or loose leaf from the cup. If you want authentic British tea you need milk! So, pour the milk in now. I use about 1 tbsp or more, as I like a lot of milk. Test the amount of milk you put in to see what you like. Add 1 tsp of sugar for those with a sweet tooth. I used to have sugar in my tea when I was younger, but now I far prefer no sugar, which is obviously healthier. Warm teapot with warm water first. Let sit for a few minutes. 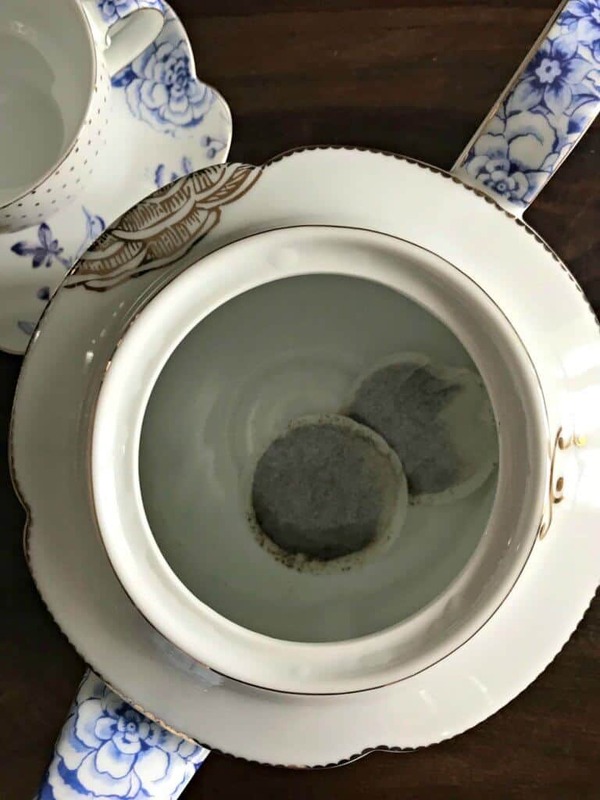 Pour out the water, then place 2-3 tea bags depending on the size of the pot and how much tea you’re making. a general rule of thumb is 1 tea bag per person and an extra one for the pot. Use 2-3 tsp if using loose leaf. Steep for 3-4 minutes before serving. NOTE: The tea will stay in the pot and will keep getting stronger. Add preferred about of milk and/or sugar. That’s it! This is really the secret to a good quality cup of black tea. Tell me… How do you like to make your tea? Also, if you don’t make it this way, give it a try and let me know what you think. Love this! Black tea is one of my favorites and now I have more excuses to drink it! Love this! I love a good cup of tea. I’m loving cinnamon tea right now…yum! Jumping over from the Pinterest group and I just had to read an comment that I love your post on black tea! I love black tea, every afternoon I have some along with my collagen. I love special mugs too, I have enough to last me a lifetime now. My favourite is Barry’s tea! If you’re ever in ireland you should check it out! I am more of a coffee drinker but have been trying to switch to tea! These are great tips and I cannot wait to try them out!! I am what I like to call a tea junkie and there is all kinds of info in post that I had no idea about. I’m guilty of using the water boiler machine that plugs in. I had no idea it made a difference in taste. I am going to have to get a kettle and compare. Great Post!! Hey fellow tea junkie! Honestly – the kettle makes a huge difference, especially with black tea. I could honestly do a blind taste test and I’d be able to tell which cup was made with the kettle vs. not! I LOVE tea and English Breakfast is my favorite black tea as well. Thanks for tips and that is such a beautiful tea set! Yes! Another tea lover 🙂 Thanks. It’s definitely a treat drinking from that cup and teapot. There’s a real art to drinking tea. I feel like it has such a finesse that people don’t realize. Thanks for sharing a way to get the best cup of joy! Hi Mila 🙂 There sure is! Gorgeous tea pot you have there. I drink Rooibos tea to regulate my sugar levels. Thanks Melissa – I love it! Roobibos is a tea I try and drink but I haven’t quite found a blend I like yet. It definitely has a unique taste. You make it look much more elegant than my microwave mug! I love good loose leaf black tea! It’s yummy with creamer. Ah yes! Love some good loose leaf tea. Ooh I’m all about this! Love it!! I drink a lot of hot tea because I don’t like coffee and I work in a office of men who DO drink coffee. They are always hot and cracking down the a/c even in the winter! Anyway, I like to make mine like bullet coffee, but bullet tea… with butter and whipped cream. I’ve never tried that! Sounds interesting – I’m intrigued. I didn’t know black tea helps with headaches! I’ll have to remember that the next time I feel a headache coming on! Oh it really does. I’m someone who gets migraines from time to time and black take honestly helps bring it down a little – almost instantly. I seriously need to start drinking more tea. I am always so amazed by all the great health benefits. I love english breakfast, too. And I’m also a fan of green tea. Are your steps the same for green tea? Or is the steep-time slightly different? Yay! Thanks for these great tips. I’m off to check out the diagram 🙂 I’ll have to try ginger next time. that sounds wonderful! ive never been a huge black tea fan but i do love these cute tea cups you have ha! You’re allowed to have coffee in the pretty cups too!! I a HUGE tea lover! I enjoy my black tea with milk and no sugar. I do have a complicated relationship with tea strainers: I always get tea leaves in my mug no matter what. Nice! That’s exactly how I have mine too. I find the best strainer for absolutely no leaves is a mesh strainer – but not the ball, the container type mesh strainer you place in your cup. Bodum makes some good ones. I had no idea of the health benefits of black tea! I have inflammation issues, so I think I will start drinking it to see if it helps! I’m more of a coffee drinker than a tea drinker so I had no idea tea had so many great health benefits! I may have to start adding a cup to my everyday routine. Coffee has some health benefits too. I think for both it’s all in moderation! I love black tea! It’s a great alternative to drinking coffee and tastes great! So so true! Tea lovers unite!!! I always find tea to be a good stress reliever! love this list! Hey Ruth …. love your last name! Are you from the NE of England? I love a cup of hot tea in the afternoon. The winter is long and the tea warms me up and just makes me feel all cozy inside. 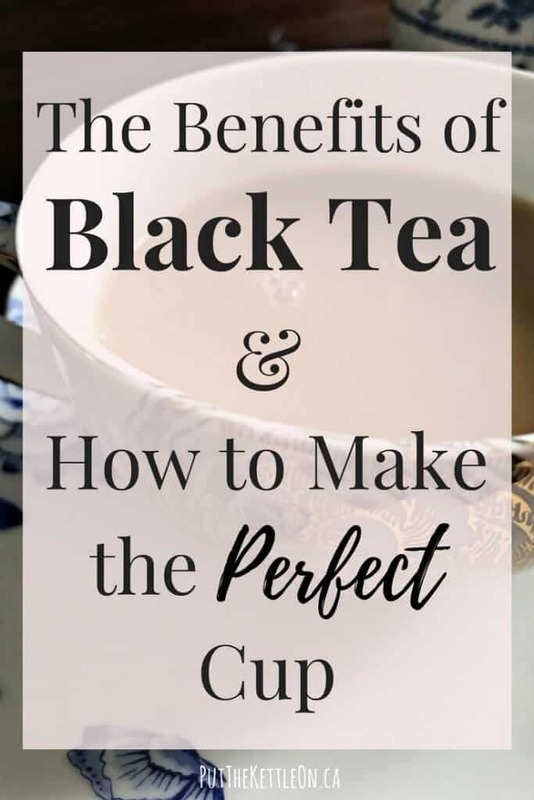 I actually don’t drink black tea but after reading the benefits here on your list, I am going to give it a try! I think that’s why I drink so much tea in the winter as well – it is so warming and just feels good! I’m going to have to experiment and see if I can taste the difference! For years I’ve just heated my tea water in the microwave and drank tea out of big mugs. I’ve always enjoyed it that way, but maybe my tea drinking experience can be improved. mmm i love this! I love a good cup of tea! I’m all about loose leaf personally and indiscriminate when it comes to black or green or any others haha! Agree – there are so many amazing varieties available with loose leaf too! I love this! My very first job was a waitress at this cute restaurant called The Pink Teacup (haha I know) and so I learned how to brew pots of tea there 🙂 I’m mostly a coffee drinker so my favorite tea is darjeeling, but I definitely enjoy some nice herbal teas when I’m trying to cut down on caffeine. 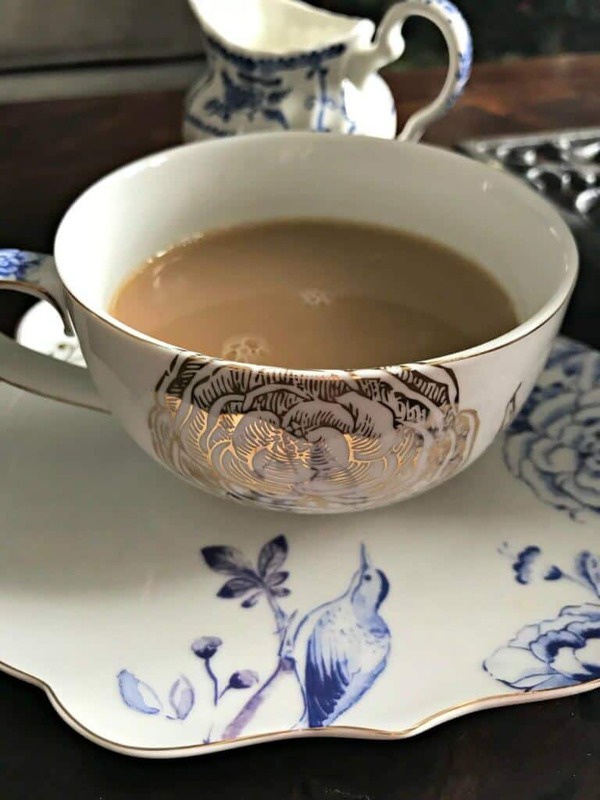 It’s been a while since I brewed a pot of tea, but I still make a cup of tea every once in a while 🙂 You’ve got some beautiful china for your tea! I love brewing a pot of tea – it makes it even more special 🙂 The restaurant you worked at sounds so quaint! I don’t drink black tea super often, but when I do, I add cream and sugar too 🙂 I had no idea though that the boiling water made a difference in the flavor! Thanks for sharing! It REALLY does. Do a taste test and you’ll notice it for sure – massive difference. If I don’t have my morning cuppa, I’m liable to break faces and kneecaps all day. Love my orange pekoe! I love tea and English tea is a fave. 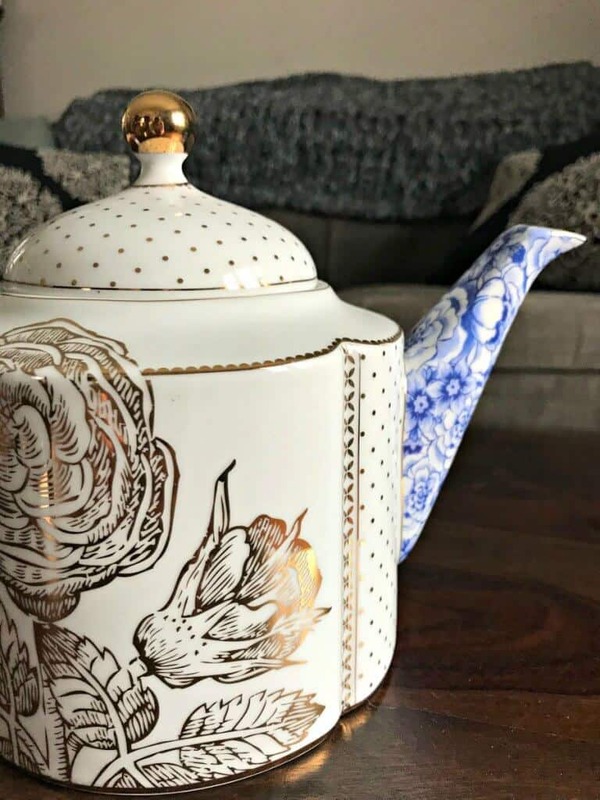 Thanks for the share and I have to say that teapot is beautiful! Ooh thanks for bringing light to a topic that I haven’t really given too much thought. Amazing advice! I love this post! I didn’t know the loose leaves have a better taste than the bags! Thanks for the post! Thanks Whitney 🙂 Well, it really depends on the tea- there are just SO many to choose from. I just might have to go purchase a new kettle after reading this! I love a good cup of black tea!! I love buying new kettles! They can get a little worn over time – especially with all the tea I drink! Thanks Deb! I hope this inspired you to put the kettle on and give it a try!! I think that your site is right up my alley! Love black tea! That’s a great idea about using tea cups instead of mugs! I haven’t found the perfect ones yet though, but I’m on the lookout.. Thanks for the great article! Hi Sonja! Oh yes! The right tea cup elevates tea that much more! !